Lewis Hamilton doubts he will be able to replicate his Silverstone comeback drive in Germany as he takes an "aggressive" but "balanced" approach into Sunday's F1 race. Lewis Hamilton says he will be taking an “aggressive” but “balanced” approach into Sunday’s German Grand Prix as he looks to stage his latest Formula 1 comeback drive. 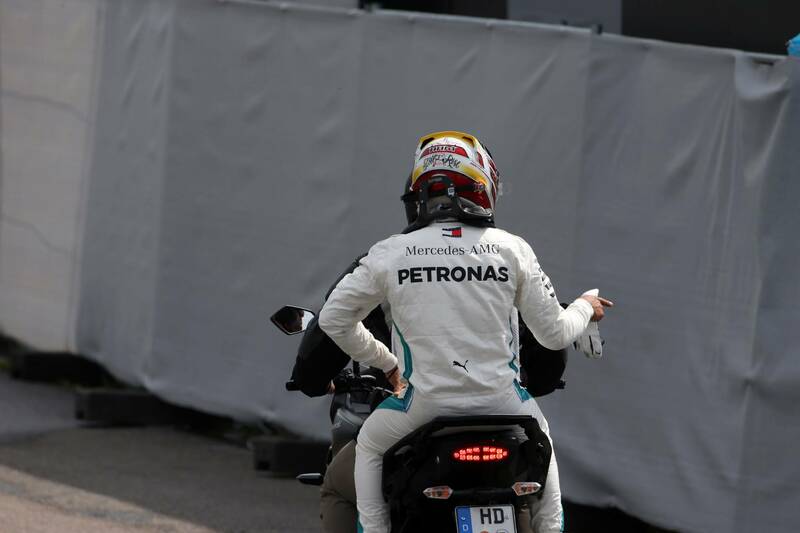 Hamilton suffered a setback to his world championship hopes in qualifying in Germany, after his Mercedes car developed a hydraulic failure at the end of Q1, leaving him 14th on the Hockenheim grid while chief title rival Sebastian Vettel took pole position. The Briton managed to pull off a recovery charge through from the back of the field to the podium at the same venue in 2014, though that was in the first year of the current V6 hybrid era when Mercedes was at its most dominant. Speaking about his chances of mounting comeback, Hamilton said: “I think it's not that easy, once you have that massive long straight at the back, it's not that easy to overtake here. It's one of the hardest circuits, particularly following in the final sector. “We do have the new DRS zones, so maybe that will help. The long DRS zone at the back, that might help, but it's not an easy circuit. It's not like Silverstone. Silverstone's a great circuit because it's quite open and wide and not as hard on the tyres as it is here. In contrast, Red Bull’s Daniel Ricciardo - who will start last on the grid due to having amassed a plethora of engine penalties - is confident of staging a fightback through the field, adding he is excited by the prospect of the race. Hamilton stressed he is not expecting to replicate his achievements from the British Grand Prix, where he brilliantly recovered from a first-lap tangle with Kimi Raikkonen to finish second at Silverstone. “Daniel [Ricciardo] is a super-optimistic person, which is great,” he said. “That's why he's loved so much by so many, and that's why he's a great character in the field. I'll try to share the same optimism. Charles Leclerc interview: I'll never get bored of Ferrari questions!